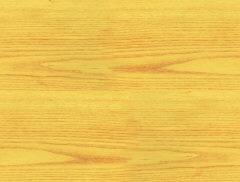 Worksheets, resources and activities to support teaching and learning about Louis Braille. Louis Braille was born in town near Paris, France in 1809. As a toddler he used to watch his father make shoes. One day, while his father was not watching, he picked up a sharp pointed tool for making holes in leather called an awl. The awl slipped, piercing his eye and damaging it beyond repair. The other eye became infected and before long Louis Braille was completely blind. At the age of 10 Louis was sent to a school for blind children in Paris. Children were taught to read and write using a system of raised letters. This system was difficult to use as it was hard to tell the letters apart. One day a soldier called Charles Barbier visited the school. He had developed a system for reading messages in the dark based upon a series of raised dots. Louis Braille realised the potential of this system and developed it so that it could be used for blind people. Louis Braille's system was not accepted at first. One Headteacher even banned the children from using it but this only spurred them on to learn it in secret. Soon the benefits of the new system were realised. 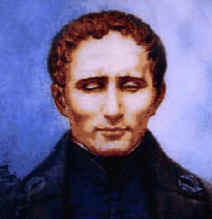 When Louis Braille grew up he became a teacher at the school in which he was a student. It was not until after his death, however, that his system was widely adopted. Today, Braille is used in almost every country in the world. © www.firstschoolyears.com All resources are for non-commercial, home or classroom use only.